Violinist Stephen Clapp, Dean Emeritus of The Juilliard School, has maintained a performing and teaching career for decades while serving as an administrator at Juilliard, Oberlin and Aspen. 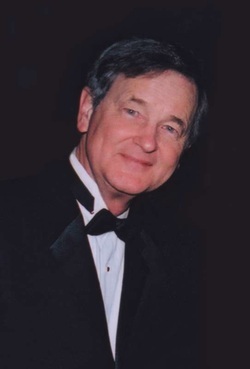 Winner of the Naumburg First Chamber Music Award and the Cleveland Society for Strings’ Josef Gingold Prize, Dr. Clapp has performed as soloist and chamber musician in the United States, Canada, Europe,Central and South America and Asia, and has participated in the Aspen, Casalsand Spoleto Festivals. On the Aspen faculty for almost twenty-five years, he was concertmaster of the Aspen Chamber Symphony, as well as the Austin and Nashville Symphonies. He has recorded and performed internationally with the Oberlin Trio and the Beaux-Arts and Blair String Quartets. He has performed with such artists as Itzhak Perlman, Pinchas Zukerman, Jacqueline du Pre and Yo-Yo Ma. Mr. Clapp has been a violin faculty member and chamber music coach at Juilliard since 1987, and served as Dean of the school for 13 years until June 2007. He adjudicates international music performance competitions.